Here's to the last post for 2009. Have made a good deal of mistakes throughout the year, set goals but never attempt to achieve them.. Well, hopefully these will not happen again in 2010. Going to spend a few days to think of my new year resolutions that i can actually achieve. Hahaha..
Well, Happy New Year to everyone~~~ May 2010 brings more love and hope for you!!! Just watched the movie "Bandslam" yesterday and I really enjoyed it. I cant deny i am always fascinated with movies that involved music or dance. And I will also love them, no matter how bad. Oh well, if it involves music or dance, it cant really be that bad, right? Think "Sound of Music", "Sister Act" etc.. All are excellent movies..
'Cause I love the way you're breaking my heart! Ticket Giveaway to the Asian Festival of First Films (AFFF)! AFFF is the only festival that celebrates first-time film and documentary-makers and provides a platform for budding film talent. This year’s nominated films hail from Australia, India, Japan, Hong Kong, Singapore, USA and UK and will be screened in their original languages ranging from Hindi and Persian to Cantonese and English. This year, AFFF will be giving away the first 20 readers a pair of tickets to movie Frontier Blues or Looking for Anne! Simply write in to rsvp@roi-strategy.com and include in title “Blog Ticket Giveaways” and in the message your NRIC name, NRIC no. handphone number, email address and your movie choice. -Alam is a 28-year-old Turkmen man who lives with his father and works in a chicken farm. -Hassan is a 28-year-old Persian man who has a pet donkey and lives with his uncle. -Kazem, is Hassan’s uncle and he owns a clothing store but the clothes he tries to sell never seem to fit anyone. 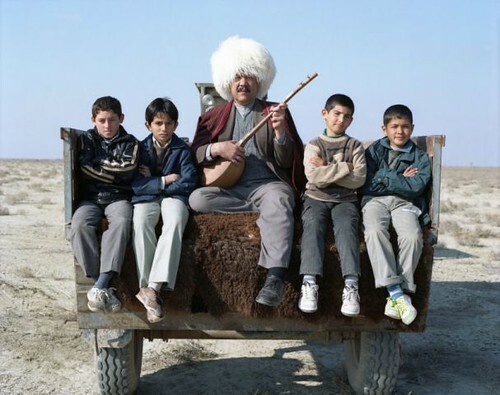 - A 55-year-old Turkmen minstrel is the subject of a book of photography by a photographer from Tehran. His wife was stolen by a Sheppard in a green Mercedes many years ago. The journey of a seventeen year old Japanese girl, Anri, who comes to Prince Edward Island with a secret mission, to find a Canadian war veteran. Gradually we find out that the veteran was the man who gave the book "Anne of Green Gables" to her recently deceased grandmother, and was potentially her first love. This festival will take place from 28 November 2009 to 4 December 2009. A total of 30 films will be screened at GV Marina and The Arts House. Tickets sold at $10 each at GV and The Arts House box offices, http://www.gv.com.sg/ and AXS Stations islandwide. For more film schedules and synopses, please go to the official site: http://www.asianfirstfilms.com/.